Lisa loves John: Oh hey, Friday! I'm sure everyone will be saying this today, but I cannot believe it is August 1st! And we all know what that means... fall is right around the corner! I've come to accept (in my over 100 degree Arizona weather), that for me, fall will have to be a state of mind - since it surely won't be chilly enough to wear a scarf until December. 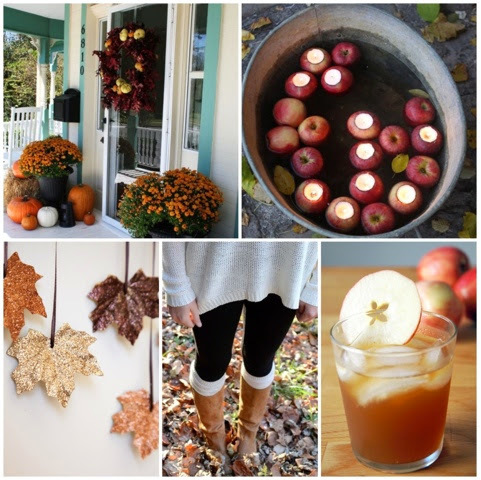 So in the spirit of fall, I thought I would share 5 things that I'm looking forward to! 1. Mums!! You can't have too many... you just can't. 2. Floating apples and candles - enough said. 3. Fall DIYs - I just can't help but love a little festive decor (and in every inch of my home!). 4. Everyone's favorite fall accessories: chunky sweaters and boots. 5. Apple cider and apple cider cocktails. Need. Now. 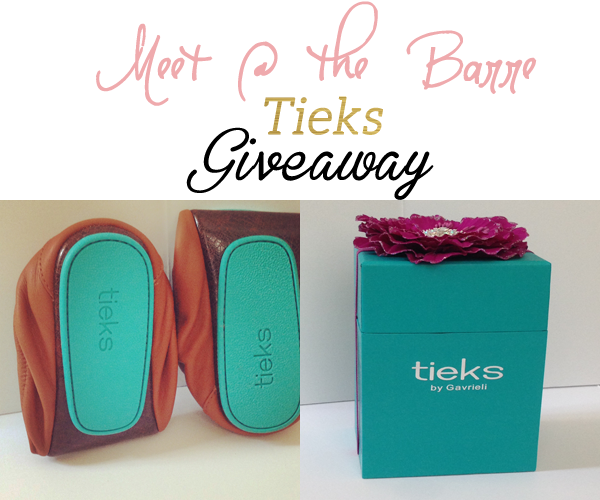 Don't forget to enter the Tieks giveaway! Linking up for Oh hey, Friday! Ahh... Fall.... we really don't get Fall here either, but it's a nice to look at all of those pics and dream of Fall! I just saw Halloween decorations for sale & I got so excited. I love FALL!!!!! I eas just saying the other day how it im ready for fall. Sadly, we usually wear shorts at Thanksgiving. Ha! Hope I don't have to get out my boots and sweaters for awhile! But, it's Michigan so I'll probably have them on by Sept. 1! Fall is actually my favorite time of year so I'm always ready for it!! Bring on the boots and scarves!! Really excited for apple picking this year!! I have fall fever BAD!! I'm beyond ready for boots, scarves and apple/pumpking everything! As much as I was so glad to see summer come, I am excited to see fall too! I think it's my favorite season! If that doesn't get you in the mood for fall, I don't know what does. As much as I am not over summer quite yet since here in Illinois we haven't had much of a summer, I love this post and I am starting to feel ready for fall! I have had Fall in the mind with all our 100 degree temps too! Mums are my favorite! I officially kick off he fall decorating I. September, so only one month to go! I literally cant wait for boots and sweaters! Yayyyyyyyyyyy! I've seen so much fall stuff recently, makes me so happy! I love those glittery leaves! I am not ready for fall yet! But I'm swooning over all the fabulous fall-ness in this post. Must find butterscotch riding boots this year. I'm with Brittany! I'm so not ready... although all the pis are divine! Fall is by far my favorite season. It is gorgeous up here with the foliage and the weather is PERFECT! I can't wait, but I am dreading winter. Oh my gosh I so miss mums. How do you keep yours alive though? Maybe it's just still way too hot here when everyone else is finally enjoying fall ha. Happy weekend! This just made me so excited for fall! I keep telling myself I don't want to rush summer... but the other part of me cannot wait for September 1st! Love love! Boots are my favorite part if fall, second to SEC football of course!! pst. links 1 3 4 5 went to the whoops page on pinterest. fyi. I loooooove fall. so much, but living in FL it is definitely a state of mind too. My reality of fall is talking myself into wearing a pair of jeans even though it is almost too hot still, year round. sigh. Love it still! You made me want apple cider, yum. Gah! Bring on fall. I'm ready now after seeing your post. Love it all. chunky sweaters and boots = my favourite thing about fall!